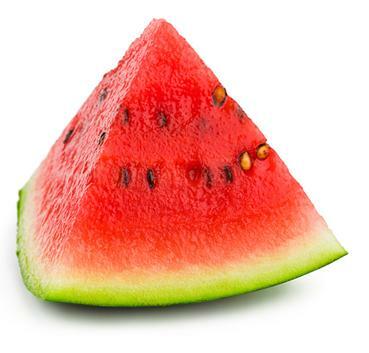 2012 WATERMELON SEED SPITTING CONTEST: THE RESULTS ARE IN - What About Watermelon? Last week marked the culmination of months of planning: I had achieved my watermelon lover’s dream of competing in a seed-spitting contest. The contest was held at the Cumberland Ag Expo here in central Pennsylvania last Wednesday, Thursday and Friday nights. Competitors could try their luck all three nights and the person in each category with the longest distance at the end of the third night was declared the winner. I arrived on Friday evening to give it my best shot. I had skipped my final practice session earlier in the day – I didn’t want to “over practice” or risk spraining a tongue muscle – and had polished off two wedges of watermelon before arriving at the fairgrounds. I was as ready as I’d ever be. The boundaries of the “spit field” were clearly defined and signs on the ground marked the distances to beat in the men’s, women’s, youth, and children’s categories. The distance marked for the men’s category leader looked impressive. I’m not sure how far it was, but it looked farther than anything I’d ever spit in practice. If I wanted to surpass it, I’d have to muster my very best seed-spitting performance. I strode to the line, confident and without nervousness. Using the same technique I’d perfected in training, I took three steps back and one step to the left. Virtually the same method used by a football kicker. I was ready. I took a few quick strides toward the line and let my first seed fly. It was good, but not great. It fell just short of the women’s distance mark, which was six or seven feet shy of the men’s mark. I needed to do better if I hoped to win that gold medal. The moment my second shot left my mouth, I knew it was a good one. It was a high-arching shot that tumbled beautifully through the air, straight down the spit field. It landed squarely and took a quick bounce (remember, “the bounce counts”) before coming to rest about 10 inches short of the leader. To me, it looked like my best distance to date, which meant I’d have to do even better on my third and final shot in order to win. I paused to catch my breath and collect my thoughts. I closed my eyes and visualized another perfect seed, tumbling perfectly through the air. Landing perfectly. Bouncing perfectly over the leader’s marker. I visualized the crowd cheering. Chanting my name and carrying me away on their shoulders. Perfectly. I took my position about eight feet behind the line, took three quick steps forward and let ‘er rip. The seed was anything but perfect. It took a nosedive onto the paved spit field and came to a dead stop about nine feet from the line. It didn’t even make it past the children’s leader mark. Oh, well. I gave it my best shot and, even though I came up just short of a victory, I’m still happy that I can cross “compete in a watermelon seed-spitting contest” off my to-do list. Now, if you’ll excuse me, I need to start training for the next dream on my list: competing in a watermelon eating contest.